Cover: Cover. Jerusalem plate 6, trimmed to the design only. Woodcut on pewter, technique on a copperplate, printed in blue and black with hand coloring. 16.2 × 14.5 cm. Photo courtesy of Christie’s New York. MARTIN BUTLIN retired as Keeper of the Historic British Collection at the Tate Gallery in June 1989. 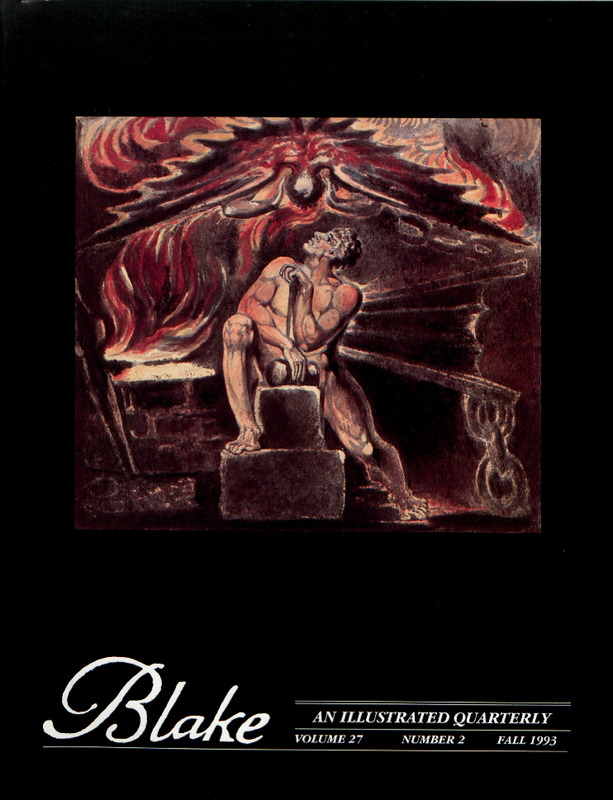 He is author of The Paintings and Drawings of William Blake (Yale UP, 1981), and other works on Blake and J. M. W. Turner. LAURA MANDELL is assistant professor of English at Miami University of Ohio. she has published essays on Bernard Mandeville and Mary Leapor (forthcoming). She is now working on a book about how a kind of melancholic skepticism endemic to eighteenth-century empirical philosophy resurfaces in romantic literature and contemporary theory.